It’s not every day you get questioned at gunpoint after a triple homicide. But try explaining that to your second-period teacher. I was going to be late for school regardless. My mother and father left for work already and I’d missed my bus. It was drizzly, a bit chilly. Maybe February. Maybe March. And I had a 3.5-mile walk ahead of me. It was 1994. I was 15. My hair was long enough to hide my neck and the collar of my Army-surplus jacket. I was tall — 6-foot-2 by then and still growing. I threw on jeans and boots and off I went. I didn’t realize I’d forgotten my wallet. I probably shouldn’t have forgotten my wallet. 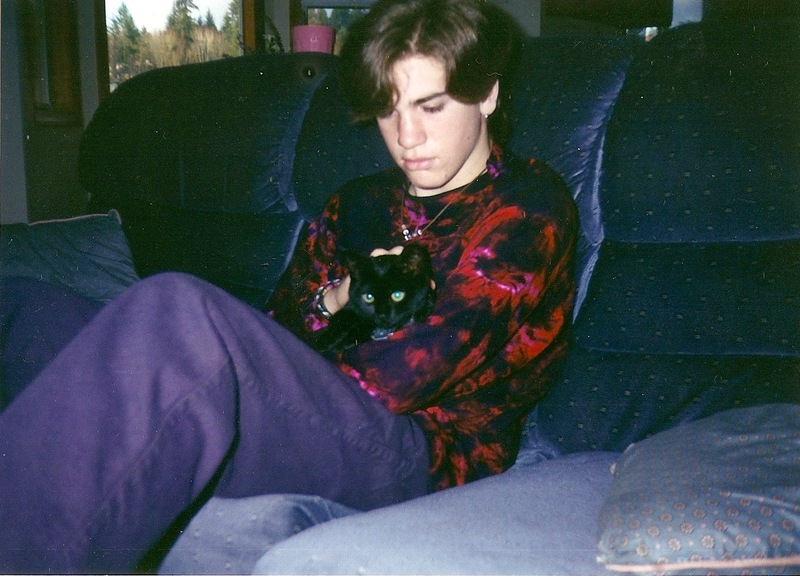 Jacob Sanders at age 15, rockin’ a tie-dye shirt and purple pants. Seeing The Oregonian before I left would have also been a good idea. Two years earlier was when I first knew I wanted to be a journalist and it was already part of my daily routine. Alas. I was behind. It wasn’t a hard walk to school — Beef Bend Road, cut through King City to 99W, then Durham Road the rest of the way. Formerly rural suburban road, old people, strip malls, sneak across a highway, more suburbs, school. Just a long walk. A trudge in the misty rain. King City was the part I thought least about. A 55-and-older community laid out like a suburban development, not that different than what my father’s mother moved into a couple years earlier in Southern California. It was always quiet. Hardly ever saw people. And it was that way that morning. I don’t remember seeing anyone. No dogs barking. No cars on the road. I scooted across a couple lanes of traffic after I passed the 24-hour Shari’s diner that was an unofficial official late-night hangout for half the people I knew. Wide, grassy median. Wet hair matted down. Damp everything. Grumpy. I looked around like they always do in the movies: Me? The cops all got out of their cars. A couple stood behind their open doors, guns drawn. 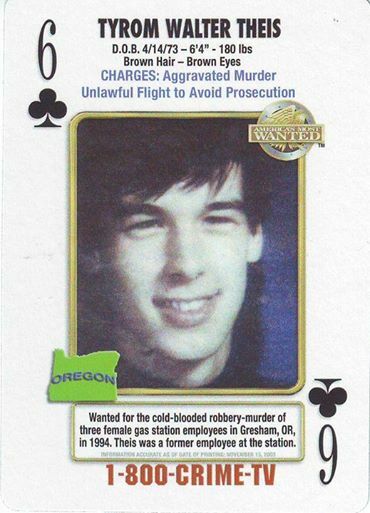 In January, turns out, someone killed three women at Leathers Oil Co. in Gresham. In The Oregonian that morning was a mugshot of a former employee the police were looking for. A woman in King City saw it and looked out her window and saw me: also tall, long hair, long face. “What are you doing here?” one cop asked me firmly but warily. “Walking to school,” I said. Damn it. No wallet. It had my school ID — and my money for lunch. This day kept getting better. And I just remembered: I had a real-looking pellet gun in my bag. I was bringing it back to a friend who’d loaned it to me. It didn’t work but that would have hardly mattered. He asked me a few more questions: What time did school start, why was I walking, that kind of stuff. Something about my story must have seemed plausible. The cop hadn’t decided to trust me yet but got dispatch to patch through a call to the school attendance office. There was a Jacob Sanders enrolled. He had been marked absent in his first-period class. He wanted my Social Security number to verify that I was the same person. I was a sophomore in high school. I had no idea what it was. The next plan involved me getting into the back of a police car so one officer could drive me to school, where presumably someone would vouch for me — or not — and I could call my mom at work to check in. The cops never did check my bag. The cop pulled up in front of school and let me out. This was visible from the attendance office. We both walked in and we all sorted out quickly that I was who I said I was. I confirmed my class schedule, that kind of thing. OK. Now, off to class. Second period had already started. Social studies. Mr. Chasko. He didn’t like me much. It was mutual. I walked in and he was in the middle of something with a projector. I’d been late before. A couple times. Silence. For a good 20 seconds or so. “I didn’t do it,” I offered. Great. All that and I was still in trouble. 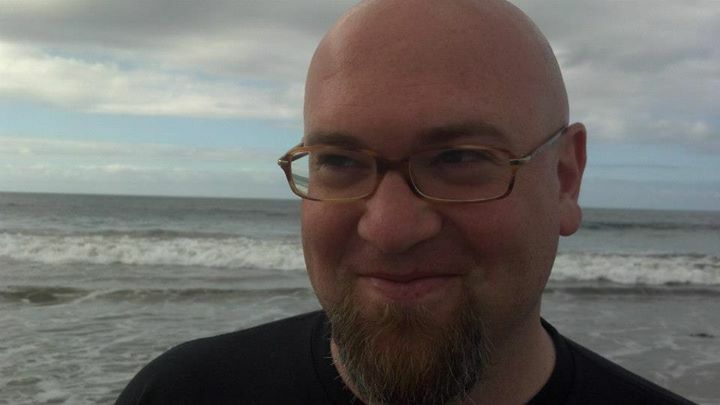 Jacob Quinn Sanders works as an editor for the Pittsburgh Post-Gazette and has never been arrested for anything. These things are unrelated and would have surprised the 15-year-old version of him very much. Editor’s note: I’ve known Jacob since he was a student journalist at the University of Nevada at Reno. We’ve stayed in touch through the years and I’ve seen him progress through a series of jobs leading to his current one specializing in audience engagement — a concept that barely existed when we first crossed paths. This entry was tagged crime, jacob quinn sanders, voa 4.0. Bookmark the permalink. Wow! Great, frightening story. Good conversation starter. What with today’s headlines, this is all very timely. Such a dicey situation nowadays being stopped by police. Your 15 year old self didn’t exactly look like the triple homicide type. Good story, good they didn’t check your bag, on a median with no i.d. In today’s world it could have turned out in a much different manner. What a wonderfully told story … thank you! Your story certainly struck a chord with me, a high school administrator. I appreciate your skill in narrating a tense story of mistaken identity without making any of those involved look cartoonish or incompetent. Thanks, all, for the kind words. This is a story I’ve told aloud for years but never written down. George provides a great forum for that once a year, so I figured it was time. My wife tried to talk me out of it — until she read it. Also, Aki, I wish this were Facebook so I could like your comment. Not every story with a little bit of comic timing to it need be designed to wound, mock or embarrass. I wish I could remember this! I too had a rough time with Chasko, mostly due to my total inability to stay awake in his class. At least the incident left you with a great story! What a great story!!! And I’m dying to know if the social studies teacher graciously removed his foot from his mouth. And in hindsight, it’s probably fantastic that something annoying-but-seemingly-usual happened so you didn’t have to weigh the gravity of that moment without some normalcy. Cheers to boring and usual. Cheers to a cautious wife. And I can’t decide if I like your story or bio more! Excellent fun. Thank you. If memory serves, the first question he asked me after class was some version of “Are you serious?” He backtracked a bit from there once he knew it wasn’t a joke — comic timing aside, of course. I don’t know how I missed reading this one earlier. You had me laughing out loud at points and feeling nervous for you at others. Must be the the teacher side and the mother side each taking turns imagining this from both points of view. Excellent story telling! My hat’s off to you sir.